So far this cable is flawless. It successfully connected a Firewire 800 Disk dock to a MacPro. The dock remains connected thanks to this cable. 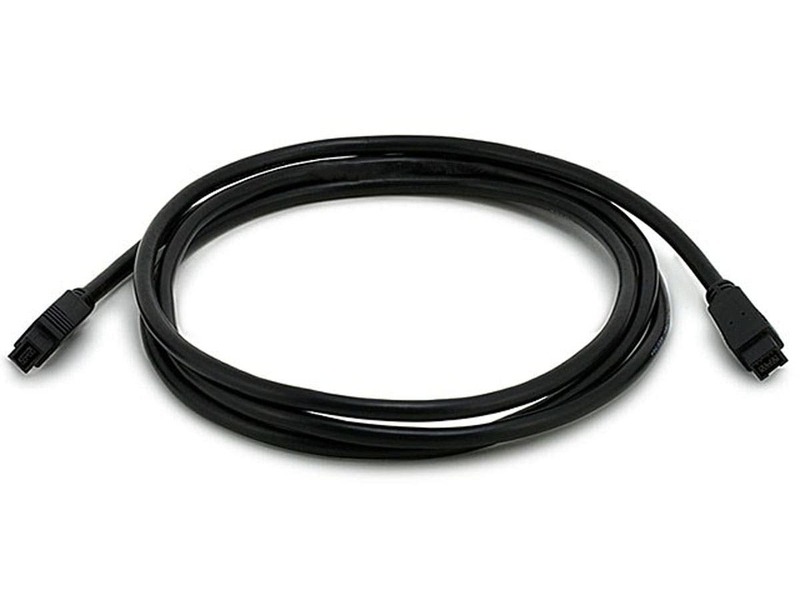 The cable itself is flexible so it can twist and bend as it goes in, around and out between the two connections it is intended to make. The only possible improvement would be if this cable was available in a snakeskin pattern instead of basic black. I had several external drives, as I do a lot of sound editing on my mac.. So needed it fast, and Monoprice came to the rescue. Quaility prohduct at half the cost elseware. Great value and a quality product. Needed a Firewire cable to move about 500GB of data from old Macbook Pro to new MacBook Pro. Put the old MBP in Target Disk mode and moved everything in one go! Purchased a firewire cable from Monoprice that was fraction of price at Apple store. Great selection, great price, low cost shipping. Did i mention great price?! PROS: Price. Performance. Low cost shipping. No frills. I paid 40.00 for one at an Apple Store. This is just as good or better. All in all, a very good value. I wouldn't hesitate to get another one. PROS: Does the job just fine. 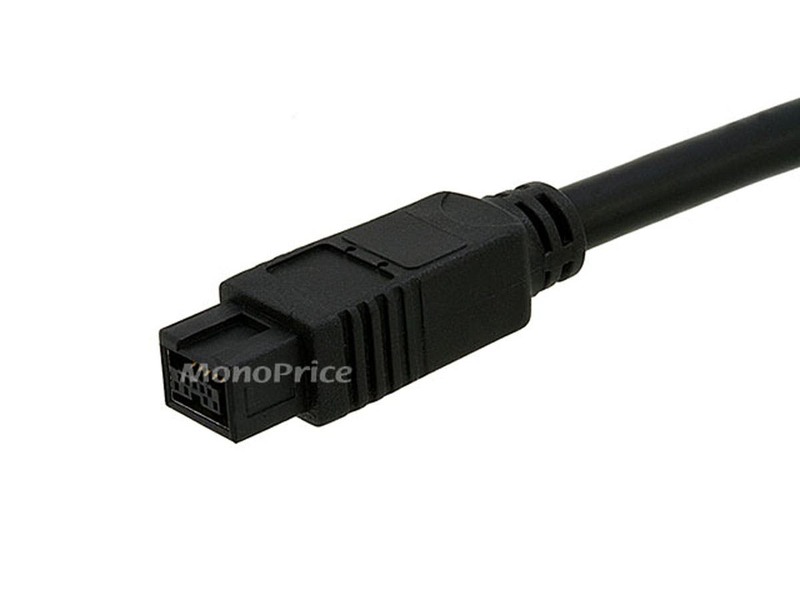 Best price for a FW 800 cable I could find. CONS: Just a few very minor things: Made in China. Cable is a little stiff. Ends are a little "boxier" than others I have. I put my Macbook in Target Disk Mode and connected to my Mac Mini and transferred enormous files, and did so without issue. These 6ft 9 pin firewire cables are just what I needed. They work well and seem to be well constructed. The price is better than what I can find locally. I like how I can read the descriptions of the items available on Monoprice and figure out my needs. When I go to the store usually none is around to ask questions. PROS: The price is more than reasonable. The cables work. Really, what more can you say about a cable that works properly? It fits tight and transmits bits and bytes the way it should.